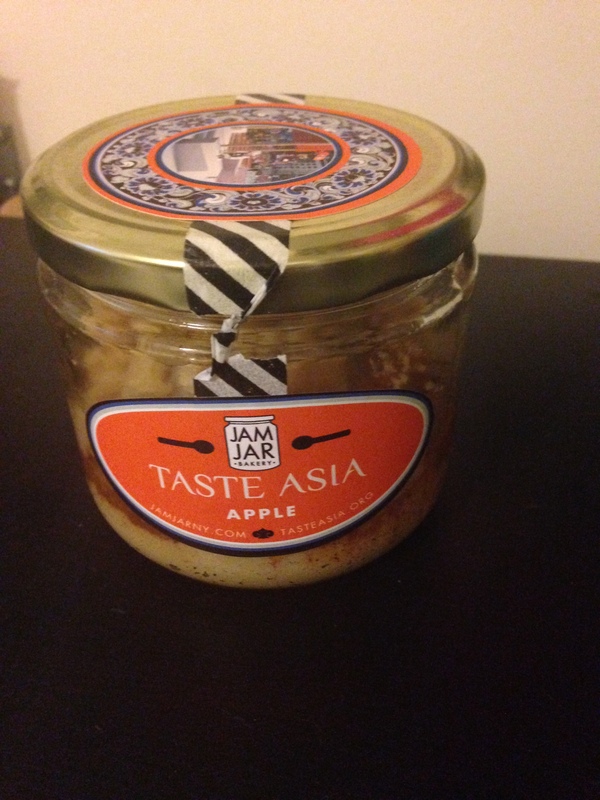 Yes, an actual apple pie in a jar. For sale at the Taste of Asia event in Times Square, the packaging of the cake is just too cute. It even came with a blue plastic spoon! Unfortunately, the concept was much more fascinating than the actual execution. It did not have a very long shelf life. I waited until the final “best by” date, which was only a few days after purchase to eat it. 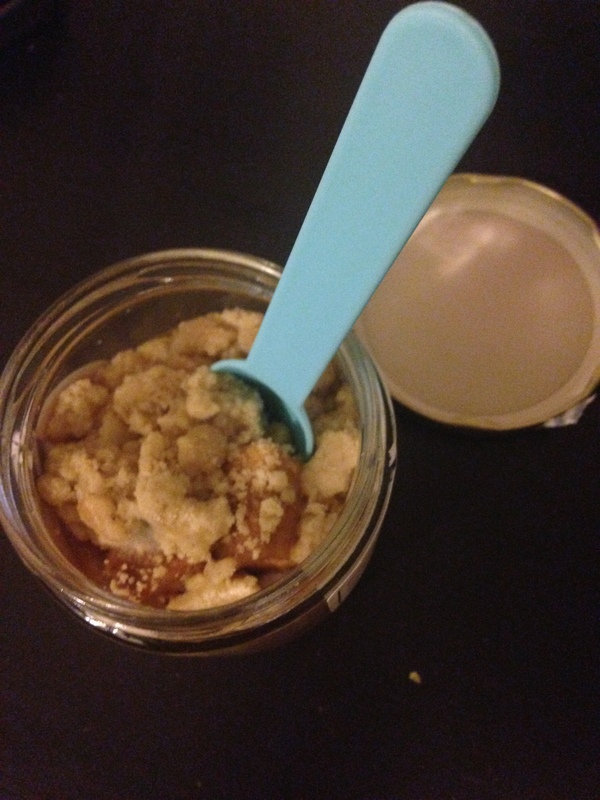 Sadly, it was kind of just the different parts of an apple pie mushed into a jar. While I wouldn’t recommend this particular pie in a jar, I think it is a really interesting concept that made me think about packaging vs. execution. I know a few brands with awesome packaging, but does the product inside live up to that hype? In publishing, we talked a lot about the “package” of a book, what that manuscript would eventually become and how you would sell it to the public. I think with books I might be more forgiving. But with food, what is on the inside really does count for a lot. Previous Post Mountain State Brewing Co.